This year’s “BioForum 2011” conference in Lodz, Poland, exposed the good and the bad about Central Eastern Europe’s (CEE) biotech industry. The good news is that CEE is beginning to establish a biotech presence: there are over 200 companies (many of which are small start-ups) in the 10 countries that make up this region. The main players include Hungary, Poland, and the Czech Republic. The member countries are also becoming aware that to become a force in the field, they need to present a united front. Thus, the big news at the conference was the announcement of the formation of a new CEE biotech association. “The new association will be run by the heads of the biotech associations of each of our 10 member countries. We will have one common website where people can go for information,” Erno Duda, president of the Hungarian Biotechnology Association, stated. Hungary is heading the biotech revolution in this region with over 100 biotech firms. It is also home to long-established pharma companies such as Gedeon Richter headquartered in Budapest, which is developing biological-based drugs. Gedeon Richter’s 2010 sales were approximately €1 billion ($1.3 billion), while its market capitalization was €3 billion ($4 billion). The company has also been in the vanguard of CEE biotech. 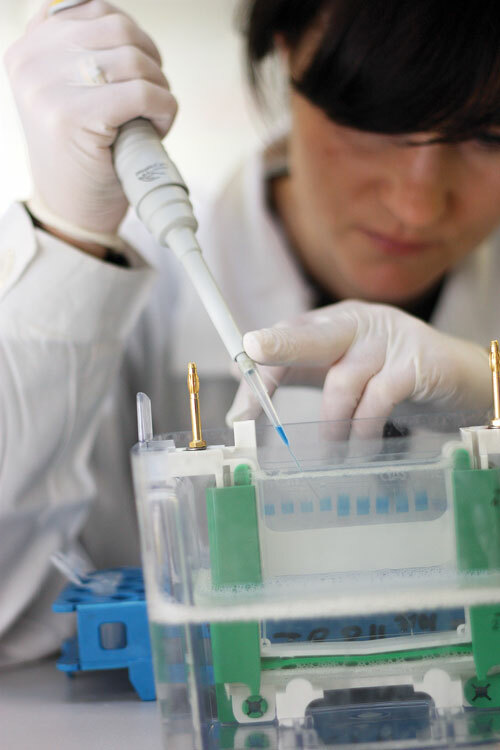 In 2007, the firm established biotech R&D and manufacturing facilities, unique in Hungary at the time, for the large-scale fermentation of recombinant proteins. Other notable Hungarian biotech successes are Solvo Biotechnology, which has operated for over 10 years, offering a range of drug-transporter assays on a contract research basis. “From a standing start we now have 450 customers in 35 countries including all major pharma and biotech companies,” comments Duda, who is also founder, president, and CEO of Solvo. “I think this is because we have been global in our outlook and are one of only three CROs in the world that can offer all the ADME/Tox transporter tests the FDA requires and the only company that can do all that the EMEA requires in one location. Why is Hungary ahead of the game in CEE despite having a quarter of the population of Poland and the same population size as the Czech Republic? Many at “BioForum” believe the Polish and Czech biotech markets are underdeveloped for a number of reasons. Solvo Biotechnology’s product line contains in vitro human and rodent drug transporter assay systems, cellular assay kits, transporter inhibitors and substrates, cell lines for licensing, and transporter-specific antibodies. The company also provides contract research services for in vitro drug transporter testing. In the past five years, the Polish government has begun to recognize the potential of biotech with several initiatives to help new companies. It also established NewConnect, the alternative market of the Warsaw Stock Exchange, in 2007. “With Poland’s entry to the EU, we have had access to more funding and expertise, and the Warsaw Stock Exchange is now the second most active market in Europe for IPOs. “That coupled with Poland having a pool of talented yet underexploited scientists and a balanced economy with little debt means that unlike many other countries, we have the room for growth and investment,” commented Przewiezlikowski. Even Poland’s most well-established pharmaceutical company, Polpharma, has in the past year begun to set up a separate biotech division at the Gdansk Science and Technology Park called Polpharma Biologics. “Polpharma Biologics intends to be fully operational by 2012, with process development as well as a cGMP scale-up facility, which will allow manufacturing of clinical batches of our biological products,” said Piotr Lassota, Ph.D., scientific director of Polpharma Biologics. This new air of optimism in Poland has helped spawn a number of promising biotechs. These include Selvita, Proteon Pharmaceuticals and Mabion. Selvita is developing clinical candidates to treat cancer and CNS and autoimmune disorders that originally came from research at Polish universities. The most promising candidates will later be commercialized with pharma partners. Selvita hopes to be listed on NewConnect in 2011 and expects to move its first candidates to the clinic in 2012. Roland Kozlowski, Ph.D., CEO of Lectus Therapeutics, a U.K. pharmaceutical company developing drug candidates to treat neuropathic pain, is a great supporter of CEE biotech. He maintains a commitment to CEE biotech through Life Science Biznes Consulting, a firm that assists CEE companies in raising capital, helps investors execute diligence, and helps western companies enter this market. Mabion is another of the rising biotech stars in Poland. The company is developing monoclonal antibody biosimilars and hopes to have antibodies in clinical development in the next two years. “We have 20 staff and have just moved into our new facilities, which we’ll use for cGMP manufacturing of our clinical candidate in the next few months,” said Slawomir Jaros, Ph.D., head of R&D. “The good thing about starting the facility from scratch is that we are building our production technology using all the latest disposable bioprocess and purification systems, so we’ll maximize our production of clinical material by saving time on cleaning between production runs,” he continued. Selvita offers a range of services, including protein modeling, in silico library construction, lead optimization, and synthesis path optimization. 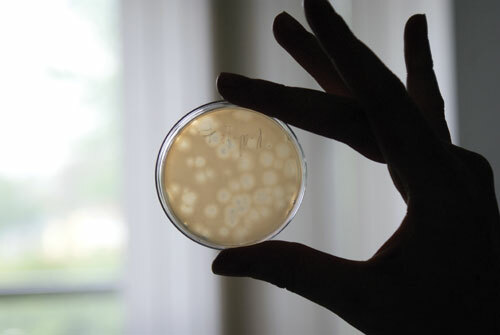 Proteon Pharmaceuticals is developing some unusual products based on using bacteriophages as an alternative to antibiotics or chemical bactericides. The lead product, Bafasal®, is a mix of three different bacteriophages that specifically target and kill strains of Salmonella enterica serovar Enteritidis and Typhimurium. “We have tested this product in a large-scale trial of 150 chicken broilers, where we added Bafasal in liquid form to their feed,” Arkadiusz Wojtasik, Ph.D., project director at Proteon, explained. “In the trial, we showed that the phage passes through the gut of healthy chickens and only acts in those chickens infected with Salmonella. Since the use of antibiotics in animal feed is banned by the EU, this is a good, safe alternative method of preventing Salmonella infections in chicken broilers. Bafasal, Proteon Pharmaceuticals’ lead product, is a mix of three different bacteriophages that specifically target and kill strains of Salmonella enterica serovar Enteritidis and Typhimurium. Despite having a population size similar to Hungary, the Czech Republic is lagging behind in biotech. With around 20 biotech companies, typically employing 8 to 100 people, Czech biotechs are mostly CRO and R&D companies; very few are developing therapeutic products. The most well established is BioTest. Why has the Czech Republic been slow to get on board with biotech? “One of the first industrially produced penicillins was made in the Czech Republic in 1949, but since then we have concentrated on industrial engineering and have neglected the biotech industry,” explained Marek Polach, manager of CzechBio, the association of Czech biotech companies. With less than 10 biological drugs in the clinical stages of development, CEE’s biopharma industry is still in its infancy—especially when compared to the Boston cluster, which the CEE biotech region aspires to emulate. Speakers and delegates at “BioForum” did cite a number of issues CEE biotechs still have to deal with if the CEE region is to increase its drug output. One difficulty is a lack of experienced and internationally focused management teams and investors to help commercialize the research properly. To address this problem many at “BioForum” believe those CEE countries that are part of the European Union need to lobby their governments to implement EU initiatives like the YIC (Young Innovative Company) status. This allows young biotech companies to avoid paying any social costs for the first 15 years and tax on revenues for the first three profitable years.